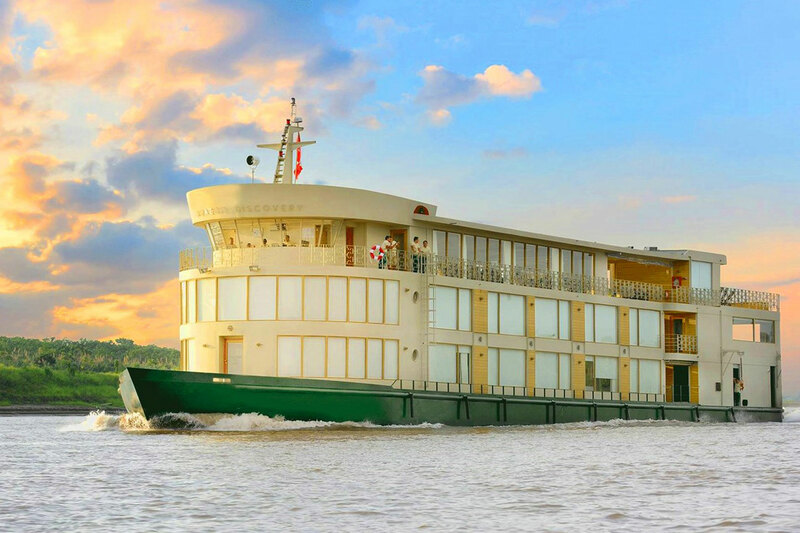 Cruise the magnificent Amazon River that is the source of life for the lush and abundant Amazon rainforest. Constituting over one half of the world’s remaining rainforests, it is home to rich plant and animal biodiversity that you can sight from the comfort of your vessel. Go swimming with the rare and fabled pink river dolphin or for an excursion into the forest with a trained guide to experience the wildlife up close, learning about their habitat and characteristic features. View the rainforest from high above the ground while canopy walking or embark on a night safari to observe nocturnal creatures like black caimans, bats, frogs and more. 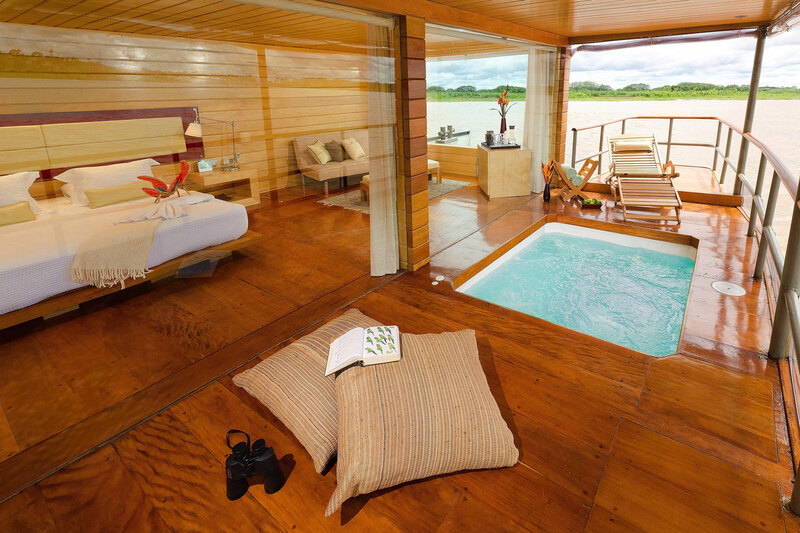 Or you can simply cosy up on the deck in an easy chair with a book and a delicious cool drink before a sumptuous meal cooked with the finest and freshest of local ingredients that the Amazon region has to offer, is served to you.